"I offer you peace. I offer you love. The Oklahoma Acupuncture Association is an alliance of Acupuncture professionals founded in 1987. It is an academic and non-profit organization comprising of Acupuncturist and HealthCare professionals in Oklahoma with primary interests in Acupuncture and Oriental Medicine. Our goal is to educate, enrich, and enhance the knowledge of its fellow practitioners by providing a forum for shared communication between Acupuncture professionals, Health Care providers, and Healing Arts specialists. An important role of the association is to bring awareness to the public of the many facets of Oriental Medicine, including Acupuncture and its benefits. If you are new to the world of Acupuncture and Oriental Medicine (AOM), you may want to see our Frequently Asked Questions. Issue: Opioid overdose takes the lives of two Oklahoma citizens each day and abusers of opioids have healthcare costs eight times that of non-abusers. Oklahoma is ranked 46th in the nation for health care outcomes while facing escalating financial hardship, rising incarceration rates, and workforce deficits. Infection Prevention. Regulations are currently in place for the tattoo, body piercing and massage industries that safeguard Oklahomans against infection. By contrast, the practice of acupuncture continues without oversight. Safety. The World Health Organization reports that acupuncture can be considered inherently safe in the hands of well-trained practitioners; however without proper training, acupuncture can lead to serious, sometimes life-threatening complications (as in the case of organ puncture and hepatitis transmission). Large-scale clinical trials of over 2 million acupuncture treatments found only 8.6% adverse events in which less than 1% reported as serious.3,10 All of the reported infections and 68% of the serious adverse events occurred in village clinics or rural hospitals in China where clinical skill disparities exist between rural and urban hospital acupuncturists because rural acupuncturists rarely receive formal education in acupuncture medical colleges.10 In the United States, ACCAOM accredited curriculum includes indications and contraindications for acupuncture point selection (single and combination), anatomy and needle insertion depth, as well as evidence-based clean needle technique practice, as necessary to protect the public. Increased cost of care from Opioid Epidemic. In contrast to acupuncture’s safety record, deaths related to opioid misuse have reached epidemic levels, the financial impact of the epidemic is at crisis levels, and incurred expenses rise from general pharmacological-care side effects, medical errors, and failed surgical procedures. In fact, two Oklahoma citizens die daily from opioid overdose according to the Center for Disease Control: 725 deaths in 2015, 777 in 2014, and 790 in 2013 which 12 is an increase from 662 deaths in 2010, and 127 deaths in 1999.113 Oklahoma, has the highest prevalence of prescription painkiller abuse in the country and more overdose deaths involve hydrocodone than methamphetamines, heroin, and cocaine combined.113 The national epidemic is costing public and private insurers more than $72 billion annually.13 Additionally 30% of patients with chronic pain conditions also suffer from clinical depression, and nearly 50% of patients who suffer from both anxiety and depression disorders have a co-morbid pain diagnosis, which shows the compounding concerns of opioid use for pain.13 The impact of the epidemic is far reaching, including but not limited to families, incarcerated persons, children, and disabled. See Appendix C, D, F.
Accepted method of care. Acupuncture is a standardized, licensed and regulated health care profession1 that conducts technical, master’s, and doctoral level training in U.S. Department of Education recognized accredited institutions.2 A Licensed Acupuncturist (or comparable state designated title) provides safe, low cost, and comparatively effective health care services.3,4 Forty seven states and the District of Columbia have developed licensure laws and regulation for acupuncturists. Alabama, Oklahoma, and South Dakota are without acupuncturist regulations. See Appendix B.
Acupuncture efficacy. An expanding body of evidence confirms that acupuncture stimulates the body’s natural healing abilities, promoting physical and emotional well-being.15,18 Through evidence review in 2003, the World Health Organization determined that acupuncture is an effective treatment for 28 named conditions and 79 potential conditions.78 See Appendix A.
model of care”, thousands of licensed acupuncturists are independently practicing acupuncture in hundreds of clinics, hospitals, universities, military and veterans’ care facilities. An increasing number of insurance companies are reimbursing for acupuncture, Medicaid in some states covers acupuncture for specific conditions, and the military has long utilized acupuncture for conditions from PTSD to brain injury. 61 See Appendix C, D, E, F.
Acupuncture for pain and mental health. Effective as a non-pharmacological approach to pain management and compounded by a holistic approach to comorbidity care, tens of thousands of licensed acupuncturists effectively treat patients with acute and chronic pain across the nation while now thousands of hospitals and clinics employ acupuncturists to improve outcomes and reduce costs. Acupuncture has recently been found to be as effective as counseling, and both more effective than usual care, for reducing symptoms of depression, a common co-morbid condition found in patients managing chronic pain.50 See Appendix D, E, F.
The opioid epidemic & auricular (ear) acupuncture. To improve behavioral health program retention, reduce withdrawal symptoms, enhance recovery outcomes, and decrease costs, a standardized auricular (ear) acupuncture protocol has gained favor throughout the nation for use as an adjunctive treatment by a variety of health care and criminal justice workers within a variety of comprehensive programs.28,32,33,36,39,92,94 The National Acupuncture Detoxification Association (NADA) has trained over 25,00029 professionals to use the NADA 5-point auricular acupuncture protocol to treat individuals of all ages recovering from substance use disorder, trauma, and other behavioral health issues.28 Over 628 licensed addiction treatment facilities utilize NADA30 and inclusion within comprehensive criminal justice programs has reduced inmate expense and re-incarceration rates for two decades.33,36,37,39,40,42,103 See Appendix D.
Other cost benefits. Overall savings resulting from acupuncture inclusion include decreased requirements for surgical procedures, shorter in-patient hospital stays, reduction in pharmacologic prescriptions, reduction of days lost at work, and reduction of necessary medical review appointments. See Appendix C, D, E, F.
Acupuncturists are asking for the privilege to join the regulated health care work force in Oklahoma with aim to work together in combating the modern health care crisis through delivery of low-risk, natural, and cost-effective health care solutions. Appendix B: State Licensure and Regulation The National Certification Commission for Acupuncture and Oriental Medicine (NCCAOM) has provided more than 21,000 certificates for acupuncturists applying for licensure in 46 states and the District of Columbia since 1982.6 NCCAOM Diplomates have passed a set of certification examinations which assure that the knowledge, skills, and abilities necessary for safe and effective entry-level practice of acupuncture have been demonstrated. The NCCAOM is the only national organization in the United States whose certification programs are accredited for the purpose of qualifying candidates for state licensure status. The Institute for Credentialing Excellence (ICE)’s National Commission on Certifying Agencies (NCCA) recognizes the NCCAOM national certification programs in Acupuncture, Chinese Herbology, and Oriental Medicine as having achieved national accreditation by meeting the NCCA’s 21 standards.6 When providing services in health system and hospital facilities within the 45 regulated states, licensed acupuncturists are credentialed as “Licensed Independent Practitioners” (L.I.P.) to be in compliance with The Joint Commission quality assurance standard for healthcare system accreditation.5 The Accreditation Commission for Acupuncture and Oriental Medicine (ACAOM) is recognized by the U.S. Department of Education as the accreditor for Acupuncture and Oriental Medicine (AOM) educational programs in the United States. ACAOM accredited institutions and programs are shaped by a rigorous peer review process. Over sixty institutions throughout the country have achieved the standards of educational excellence by meeting ACAOM’s accreditation requirements.2 The Oklahoma Board of Private Vocational Schools (OBPV) provides licensure and oversight of two acupuncture training schools.9 The existing grass-roots acupuncture education network may contribute to bridge-building collaborations necessary for acupuncturist workforce expansion within the fabric of Oklahoma’s existing infrastructures. Collaboration in the development of innovative tiered apprenticeship programs for life-long career advancement are in alignment with current workforce expansion plans. In addition, to accommodate evolving health care industry workforce requirements, stakeholders are exploring practice scope expansion solutions, such as competency based certifications. Oklahoma appears to be postured for incubating hybrid models that bridge life-long learners from beginner to entry-level and master clinician to doctoral research. Appendix F: Medicaid and Acupuncture The 2014 Medicaid report articulates: “In addition to the financial implications of prescription drug abuse and overdose, chronic and severe social implications reverberate through Medicaid and social service programs as well in the areas of homelessness, domestic violence, unemployment, foster care, and others that can burden states for years in service and care needs.”13 “Medicaid is the largest health care safety net program and is responsible for the health care of 73 million Americans, including those with the most complex health care needs. The program covers 50 percent of all U.S. births, promotes children’s achievement of developmental milestones and school readiness and, enables adults to maintain good health in support of work readiness and job retention, and furthers the values, dignity, safety and integration of individuals who require long-term services and supports. States and the federal government jointly finance and operate Medicaid, making an effective federal-state partnership critical to success of the program.”114 “Because rates of prescription drug misuse and overdose are elevated in individuals that have co-occurring mental illness and/or have a history of substance abuse, access to and effective coordination of care is essential… Inclusion of other clinical and support specialists on the treatment team could also be considered and may be amenable to payer support, including case management and promotion of non-pharmacologic therapies such as acupuncture, massage, and health/wellness classes. Together these ancillary providers may help in shifting the focus away from prescribing opioids as a primary or exclusive means of pain relief… By incorporating recommendations across the six strategies, states can reasonably expect to bring about a reduction in prescription drug abuse and overdose, resulting in an overall reduction in healthcare expenses and an improvement in the health outcomes of Medicaid beneficiaries.”13 A Medicaid report in March 2017 articulates that “Medicaid must also be given statutory certainty around its ability to support holistic initiatives addressing the social determinants of health, which may cross federal programmatic and funding silos. These types of initiatives represent the next horizon for health care transformation, and with federal support, states may lead the way.”114 The Oklahoma Health Care Authority is a state government agency responsible for administering the Oklahoma’s Medicaid program known as “SoonerCare.”112 In 2015, approximately 17% of Oklahoma enrollees were categorized as disabled, aged, or blind; 61% of enrollees were children and more than half of children in Oklahoma were enrolled; average monthly enrollment was 820,000; and total Medicaid spending was $5.1 billion (including funding of $3.1 billion from federal government).111 The agency’s mission is to “responsibly purchase state and federally-funded health care in the most efficient and comprehensive manner possible; to analyze and recommend strategies for optimizing the accessibility and quality of health care; and, to cultivate relationships to improve the health outcomes of Oklahomans.”112 As of 2017, eight states provide acupuncture coverage through Medicaid (California,79 Maryland,86-88,99 Massachusetts,97 Minnesota,80 New Mexico,81 Ohio,82-83 Oregon84-85 and Rhode Island89,91); New Jersey’s Medicaid plan covers acupuncture anesthesia during surgery;108 and several states, such as Vermont,96 implement temporary innovative Medicaid pilot programs to examine outcomes and savings.90-93 Oklahoma appears to be poised to lead, saving lives by qualifying for supplemental Medicaid funding through 1115 demonstration pilots.90 Expanding upon current successful programming, replicable demonstrations utilizing licensed acupuncturists, with clearly-defined baseline measures, goals, and evaluation criteria in targeted sub-populations groups, have clear potential to propel Oklahoma into the lead for innovative emerging community-based collaborative approaches addressing the unique challenges that must be overcome to successfully combat the nation-wide opioid epidemic. 2. The Accreditation Commission for Acupuncture and Oriental Medicine. (2017). Retrieved 06/18/17. http://acaom.org/ 3. Witt, Pach, Brinkhaus, et al. Safety of Acupuncture: results of a prospective observational study with 229,230 patients and introduction of a medical information consent form. ForschKomplementmed. Apr 2009;16(2):91-97. 4. Jabbour, Sapko, Miller, Weiss, Gross. Economic Evaluation in Acupuncture: Past and Future. 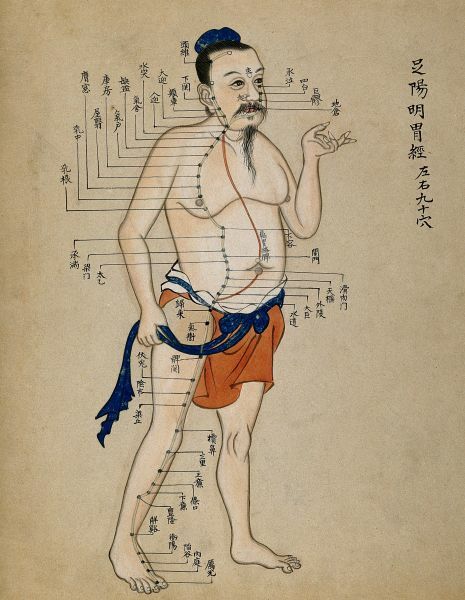 The American Acupuncturist. Fall 2009; 49: 11 – 17. 12. Center for Disease Control and Prevention. Increases in Drug and Opioid-Involved Overdose Deaths- United States, 2010-2015.Morbidity and Mortality Weekly Report, December 30, 2016, 65(50-51);1445-1452. Retrieved 6/8/2017. https://www.cdc.gov/drugoverdose/data/statedeaths.htmlhttps://www.cdc.gov/mmwr/volumes/65/wr/mm655051e1.htm 13. Marsh & McLennan Companies. State Medicaid Interventions for Preventing Prescription Drug Abuse and Overdose: A Report for the National Association of Medicaid Directors. National Association of Medicaid Directors.October 1, 2014; p. 5-9, 11-12, 15, 19, 20, 37, 39, 43, 44. 17. H.R.2839 (115th): Acupuncture for Heroes and Seniors Act of 2017-2018. Retrieved June 18, 2017.https://www.congress.gov/bill/115th-congress/house-bill/2839 18. Maeda, Kim, Kettner, Kim, Cina, Malatesta, Gerber, McManus, Ong-Sutherland, Mezzacappa, Libby, Mawla, Morse, Kaptchuck, Audette, Napadow. Rewiring the primary somatosensory cortex in carpal tunnel syndrome with acupuncuture.Oxford Academic Brain A Journal of Neurology. (02 March 2017) 140 (4):914-927. 28. National Acupuncture Detoxification Association (NADA). Retrieved 06/19/2017.https://www.acudetox.com 29. Serafini, Bryant, Ikomi, LaPaglia. Training Psychiatry Addiction Fellows in Acupuncture.Acad Psychiatry. 2016 Jun; 40(3):503-506. Retrieved 06/19/2017. 35. Stuyt, E. Ear acupuncture for co-occurring substance abuse and borderline personality disorder: An aid to encourage treatment retention and tobacco cessation. Acupunct. Med. 2014, 32, 318–324. Retrieved 06/19/2017. http://aim.bmj.com/content/32/4/318 36. Berman, Lundberq. Auricular acupuncture in prison psychiatric units: a pilot study. ActaPsychiatrSc and Suppl.2002;(412):152-7. Retrieved 06/19/2017. https://www.ncbi.nlm.nih.gov/pubmed/12072149 37. Santasiero, Neussle. Cost-Effectiveness of Auricular Acupuncture For Treating Substance Abuse in An HMO Setting: A Pilot Study. Medical Acupuncture.2005; 16: 39-42. 39. Smith, Michael. Testimony presented by Michael O. Smith, MD, DAc, to the Select Committee on Narcotics of the US House of Representatives July 25, 1989. Acupuncture Treatment For Drug Addiction: Acupuncture Treatment For Drug Addiction - Testimony Presented To The Select Committee On Narcotics Of The US House Of Representatives. Retrieved 07/02/2017. http://www.healthy.net/Health/Article/Acupuncture_Treatment_for_Drug_Addiction/2501/1 40. Wismer B, Amann T, Diaz R, Eisen D, Elder N, Ho C, Hwang S, Johnston M, Joslyn M, Kertesz S, Kushel M, Preston C, Solotoroff R, Thompson L, Silva F, Smith S, Zevin B, Meinbresse M, Post P (Ed.). Adapting Your Practice: Recommendations for the Care of Homeless Adults with Chronic NonMalignant Pain, 128 pages. Nashville: Health Care for the Homeless Clinicians' Network, National Health Care for the Homeless Council, Inc., 2011; 2,5,45. 42. Blackburn. Invest in Re-entry programs not in prison cells. The Oregonian. November 1, 2011. Retrieved 7/03/2017.http://www.oregonlive.com/opinion/index.ssf/2011/11/invest_in_re-entry_programs_no.html 43. Kailasam, V.K. ; Anand, P.; Melyan, Z. Establishing an animal model for National Acupuncture Detoxification Association (NADA) auricular acupuncture protocol. Neurosci.Lett.2016, 624, 29–33. 47. Spira. Acupuncture: A Useful Tool for Health Care in an Operational Medicine Environment. Military Medicine.2008. 173, 7:629-634.Retrieved July 2017. http://militarymedicine.amsus.org/doi/pdf/10.7205/MILMED.173.7.629 48. Allen. How Many Die From Medical Mistakes in U.S. Hospitals? ProPublica.September 19, 2013.Retrieved July 2017. 55. Grissa, Baccouche, et al. Acupuncture vs intravenous morphine in the management of acute pain in the ED. American Journal of Emergency Medicine. 2016;34(11):2112-2116. Retrieved July 2017. http://www.ajemjournal.com/article/S0735-6757(16)30422-3/fulltext 56. U.S. Department of Defense. (2010, December 10). Doctors Use Acupuncture as Newest Battlefield Tool. Retrieved July 2017. 57. U.S. Department of Defense. (2011, October 25). Military Medicine Works on Managing Pain. Retrieved July 2017.http://archive.defense.gov/news/newsarticle.aspx?id=65812 58. U.S. Department of Defense. (2008, May 1). Gates Works to Reduce Mental health Stigma. Retrieved July 2017.
http://archive.defense.gov/news/newsarticle.aspx?id=49738 59. U.S. Department of Defense. (2011, January 27). Marines in Afghanistan Test New Concussion Care. Retrieved July 2017. 60. U.S. Department of Defense. (2011, June 24). Intrepid Center Marks First Anniversary. Retrieved July 2017. http://archive.defense.gov/News/NewsArticle.aspx?ID=64450 61. U.S. Department of Defense. (2011, February 9). Women Learn to Fight Stress from Home Front. Retrieved July 2017. 66. Center for Disease Control. 2016 CDC Guideline for Prescribing Opioids for Chronic Pain. Retrieved January 9, 2017. https://www.cdc.gov/mmwr/volumes/65/rr/rr6501e1.htm 67. Acupuncture. NIH Consensus Statement 1997 Nov 3-5; 15(5): 1-34. 80. Minnesota Department of Human Services, Acupuncture Services. Retrieved July 2017. http://www.dhs.mn.gov/main/idcplg?IdcService=GET_DYNAMIC_CONVERSION&dDocName=dhs16_166324&RevisionSelectionMethod=LatestReleased 81. New Mexico ABP vs State Plan Comparison Chart. April 2015. Retrieved July 2017.
http://www.hsd.state.nm.us/uploads/files/Looking%20For%20Information/Information%20for%20Recipients/Alternative%20Benefit%20Plan%20vs.%20State%20Plan%20Comparison%20Chart/ABP%20vs%20StatePlan%20comparison%20chart%204%2029%2015.pdf 82. Medicaid Transmittal Letter (MTL) No. 3334-16-18. December 27, 2016. Ohio Department of Medicaid. Retrieved July 2017.
http://www.medicaid.ohio.gov/Portals/0/Resources/Publications/Guidance/MedicaidPolicy/NonInst/MTL-3334-16-18.pdf 83. 2017 Member Handbook, CareSource. 2016. Retrieved July 2017.
https://www.caresource.com/documents/oh-medicaid-member-handbook/ Federal Medicaid Notice. Ohio Department of Medicaid. October 2016. 84. OHP fee-for-service coverage of back and spine pain diagnosis and treatment. Oregon Health Authority, Health Systems, Oregon Health Plan. March 6, 2017. Retrieved July 2017.http://www.oregon.gov/oha/HSD/OHP/Announcements/OHP%20fee-for service%20coverage%20of%20back%20and%20spine%20pain%20diagnosis%20and%20treatment.pdf 85. Oregon Health Authority, Health Systems, Oregon Health Plan. Retrieved July 2017.
http://www.oregon.gov/oha/HSD/OHP/Pages/Announcements.aspx 86. The Maryland Medical Assistance Program: Provider Manual for Medicaid Provider Types AC, 13, 16, 17, 18, and 28. January 2015. 95. Continuing Your Care After You Join Neighborhood INTEGRITY. https://www.cms.gov/Medicare-Medicaid-Coordination/Medicare-and-Medicaid-Coordination/Medicare-Medicaid-Coordination-Office/FinancialAlignmentInitiative/Downloads/RICOCP.pdf 96. Masterson. Can Acupuncture Offer Pain Relief and Reduce Opioid Use? Vermont Funds Medicaid Study. January 27, 2017. Retrieved July 2017. 98. Health Insurance Information Session: RE Essential Health Benefit Benchmark Plan Options for 2017 [May13, 2015], Commonwealth of Massachusetts, Office of Consumer Affairs and Business Regulation, Division of Insurance. May 15, 2015. Retrieved July 2017. http://www.mass.gov/ocabr/docs/doi/essential-health-benefit-benchmark-plan-options-2017.pdf 99. The Maryland Medical Assistance Program: PROVIDER MANUAL For Medicaid Provider Types AC, 13, 16, 17, 18, and 28. January 1, 2015. Retrieved July 2017. 113. A STATE PLAN: Reducing Prescription Drug Abuse in Oklahoma. Oklahoma Printing Services Division, Oklahoma Department of Mental Health and Substance Abuse Services. 11/2013. Retrieved July 2017. https://www.ok.gov/odmhsas/documents/Rx%20Abuse%20Prevention%20Plan.pdf 114. Key State Flexibilities for Consideration in Medicaid Reform, National Association of Medicaid Directors.3/23/2017. http://medicaiddirectors.org/wp-content/uploads/2017/03/NAMD-Key-State-Flexibilities-for-Consideration.pdf 115. Volkow, McLellan. Opioid Abuse in Chronic Pain —Misconceptions and Mitigation Strategies.The New England Journal of Medicine.March 31, 2016. 374;13:1257. 119. Governor Fallin- 2017 Legislative Session goals http://altustimes.com/category/news This brief has been prepared by Rhonda K Bathurst, L. Ac., Brandy Valentine-Davis, L. Ac., and Tim Williams, Cert. Ac. with evidence base provided by the American Association of Acupuncture and Oriental Medicine (AAAOM) and the National Acupuncture Detoxification Association (NADA). 9 August 2017.